We are working hard to make FunEasyLearn app even better for learning languages. Here is what’s new in this update: – GDPR compliance. – You can now buy each level separately. – Multi-level selection available. – Two modes of pronunciation: normal and slow. – Our app is ready for Android 9. – Bug fixes and performance improvements. – Speech recognition feature added, to improve your pronunciation. 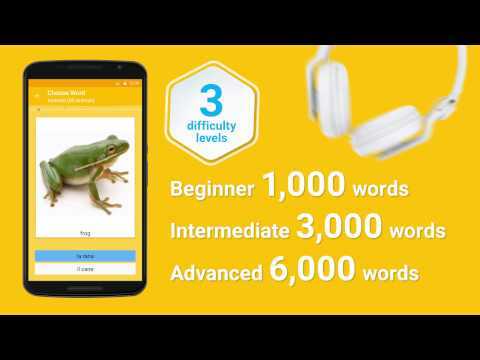 We are working hard to make FunEasyLearn app even better for learning languages. Here is what's new in this update: - GDPR compliance. - You can now buy each level separately. - Multi-level selection available. - Two modes of pronunciation: normal and slow. - Our app is ready for Android 9. - Bug fixes and performance improvements. - Speech recognition feature added, to improve your pronunciation.